Cracker Candy! Really? Doesn't that name sound a bit strange? At first I thought so too but as I started eating one and then two, I stopped thinking about it and just gave into the indulgence. Sometimes I feel we care too much about the names and less about the actual taste. These remind me of black and white cookies! You know what I'm talking about. The "candies" were crunchy, salty, sweet and simply yummy. We made these the night before I was leaving, so my friend packed me a goodie bag full of them for the flight the next morning. Isn't she so thoughtful! I think it's okay to give into your sweet cravings once in a while. Give into your cravings and try it out. 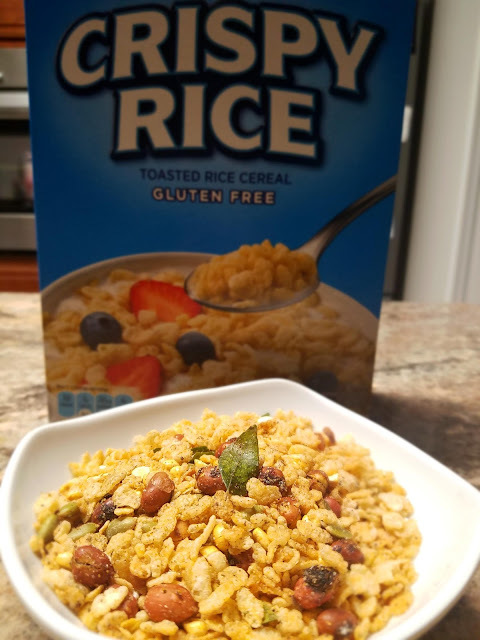 Don't let the name deter you from trying. 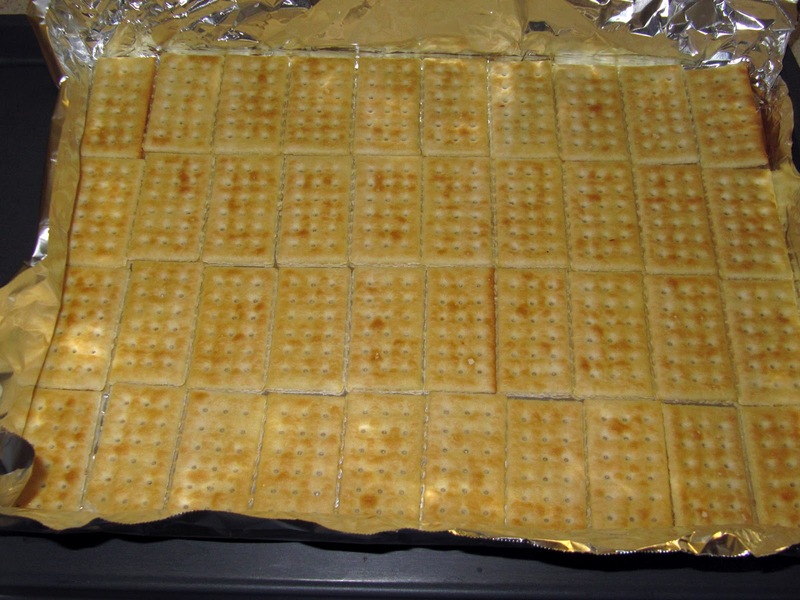 1) Line baking tray with aluminum foil and arrange the saltine crackers into the tray so they touch each other, making sure there are no spaces between them. 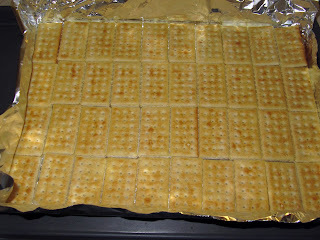 Immediately pour the liquid over the crackers and spread it thoroughly over all the crackers. 3) Place in oven for 5 minutes and then take it out immediately. 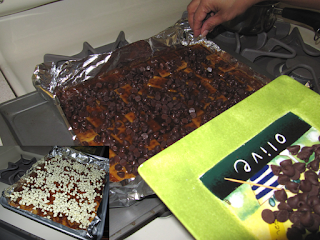 Sprinkle chocolate chips over the caramelized crackers evenly. Set aside for 5 minutes and then spread the softened chocolate over all the crackers. Place tray in the refrigerator or freezer until solid. When it is ready to serve, lift the candied crackers from the foil and cut/break into desired shapes. - Dark chocolate may be substituted instead of regular chocolate. - If you want to dress them up with M&Ms, peppermint bits, and/or nuts, it's best to do it right after spreading the chocolate over the crackers (when it's still hot).